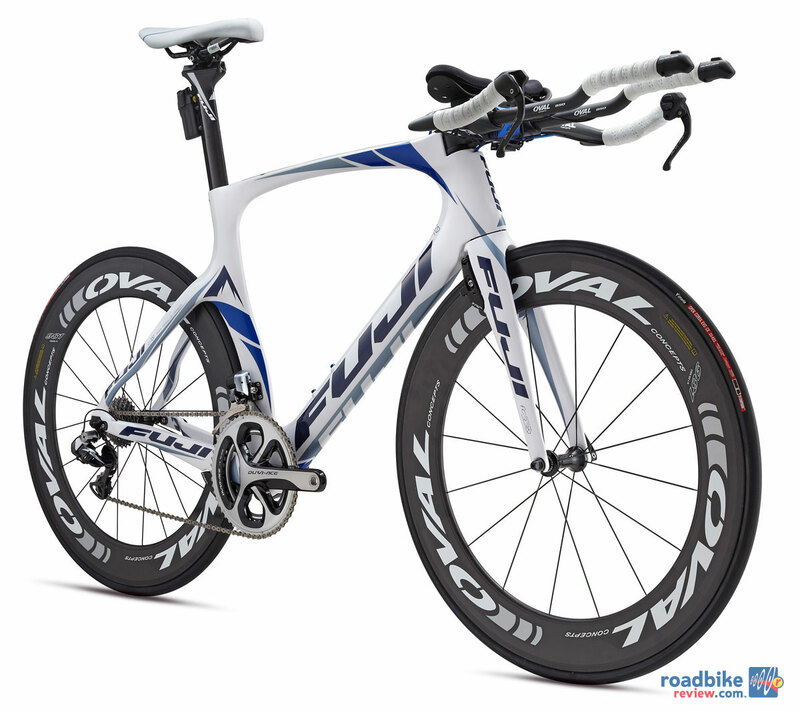 The Norcom Straight 1.1 is the flagship bike of the line and retails for $7500. It’s constructed from C10 ultra-high modulus aero carbon tubing, and has an electronic Shimano Dura-Ace 9000 drivetrain. Wheels are Oval 981 full carbon clinchers. 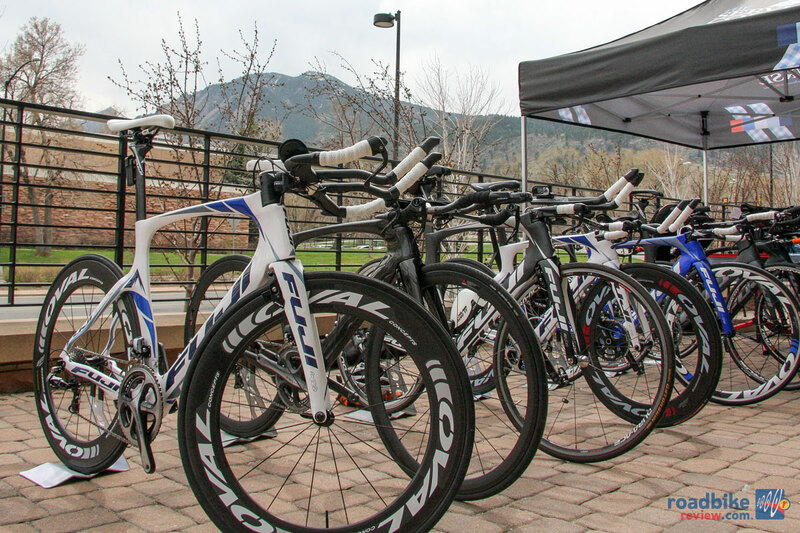 After three years in development, Fuji finally launched its new Norcom Straight time trial bike on Tuesday at a press event inside the swanky St. Julien Hotel in downtown Boulder, Colorado. 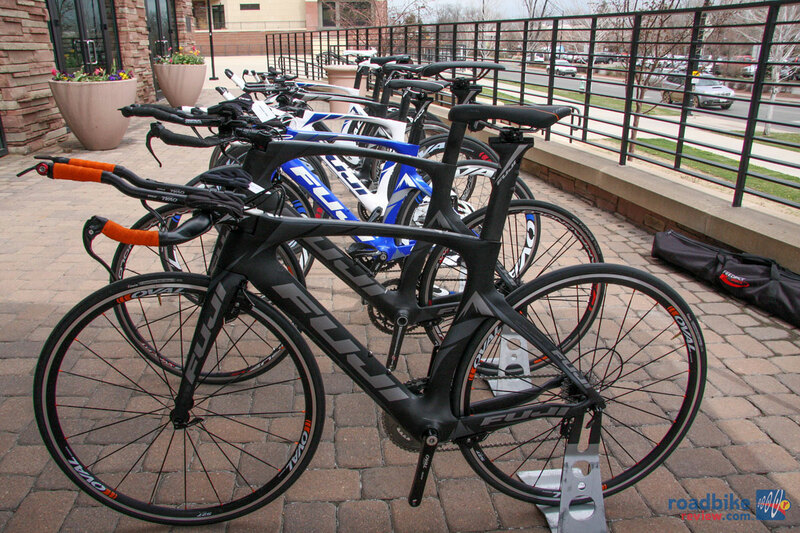 The new line of speed machines, which are named after a Strava segment near Fuji HQ in Philadelphia, includes five bikes that range from the $7500 Shimano 11-speed Di2-equipped Norcom Straight 1.1, to the more-budget friendly Norcom Straight 2.5, which comes in at $2300 and is spec’d with a mix of Shimano 105 and Tiagra. The “1” or “2” naming prefix designations allude to a high-modulus carbon frame that is lighter and stiffer, and a second-tier lay-up that was designed to hit the lower price points. The primary tech story behind all that excitement is found in the new bike’s tagline, “When seconds matter, fit comes first.” Indeed, the new Norcom bikes are designed to fit a wide range of riders, with product manager and industry veteran Steve Fairchild claiming that the five frame sizes (49cm to 57cm) will accommodate heights from 5-feet to 6-6, including Fuji sponsored pro Matty Reed, who is 6-5. 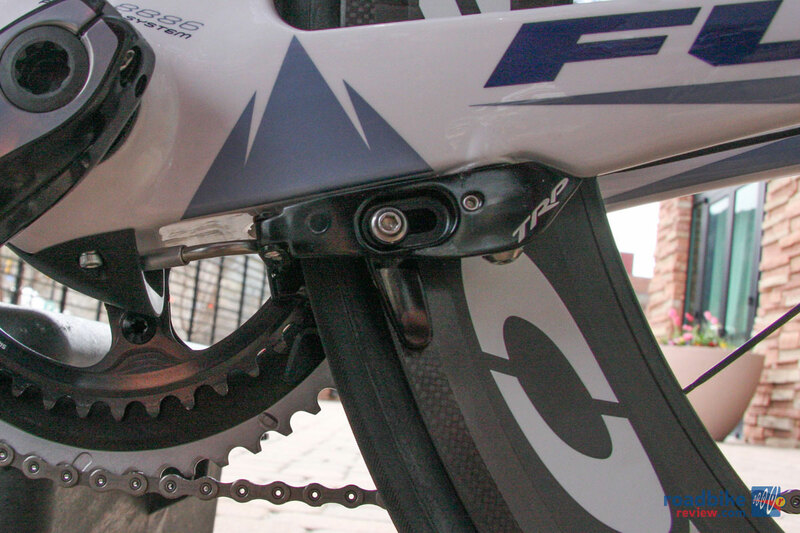 This variance of fit is achieved through a 135mm-range of cockpit adjustability, 70mm of fore-aft seatpost adjustment, and six available Oval Concepts stem lengths with two rises degree choices (8 or 17), and negative or positive angles. 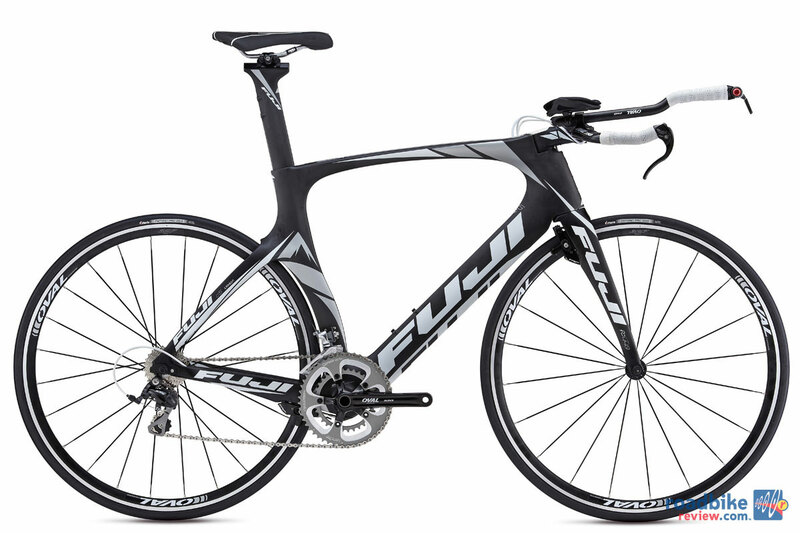 “We wanted to make a bike that fits the rider, instead of forcing riders to fit our bike,” said Fairchild, who’s been with Fuji off and on since 1985. 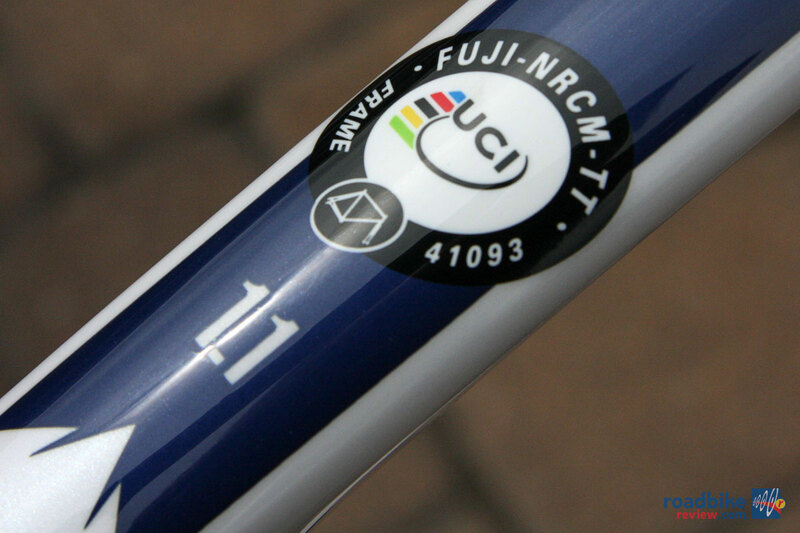 Both the 1 series and 2 series frames utilize what Fuji calls RIB technology, where internal carbon braces reinforce tubing cross sections. 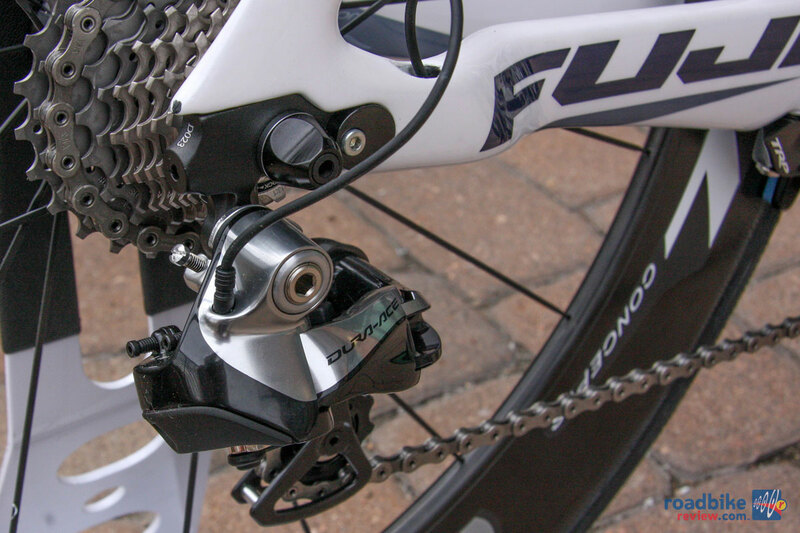 Mix in a burly PressFit BB86 bottom bracket shell, and Fuji claims its new bike is 26 percent stiffer than its previous TT machine, the D6. 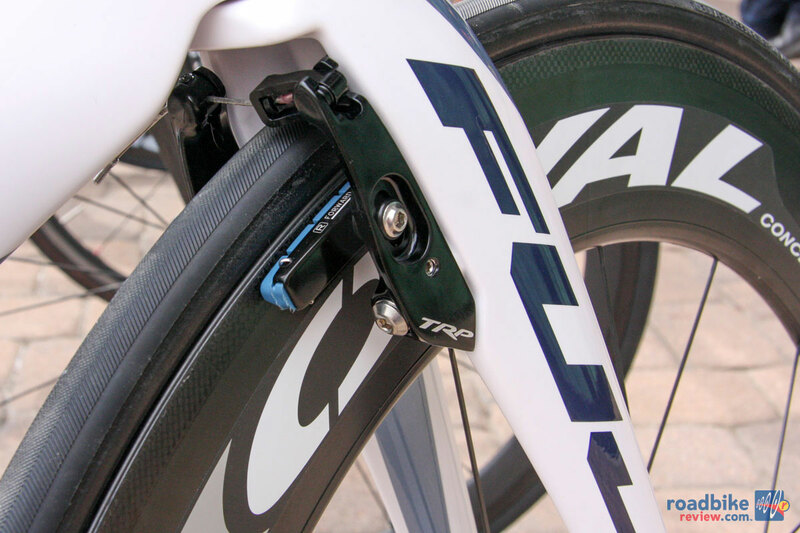 The horizontally-adjustable road-bike-style vertical dropouts allow for faster wheel changes and increased rear triangle wheel clearance. 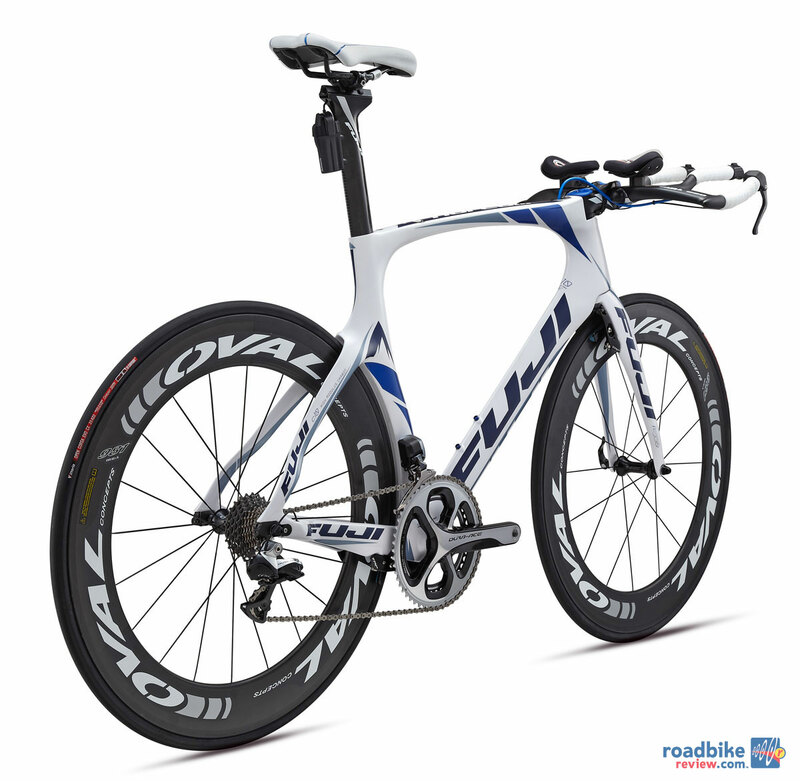 Other head-turning features include the horizontally-adjustable road-bike-style vertical dropouts, which allow for faster wheel changes and increased rear triangle wheel clearance. 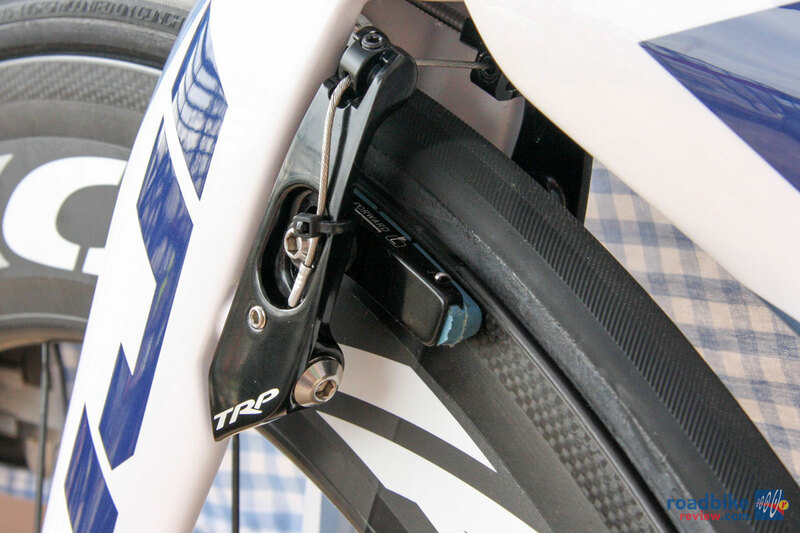 And front and rear brakes that are tucked out of the way, increasing aerodynamic efficiency. 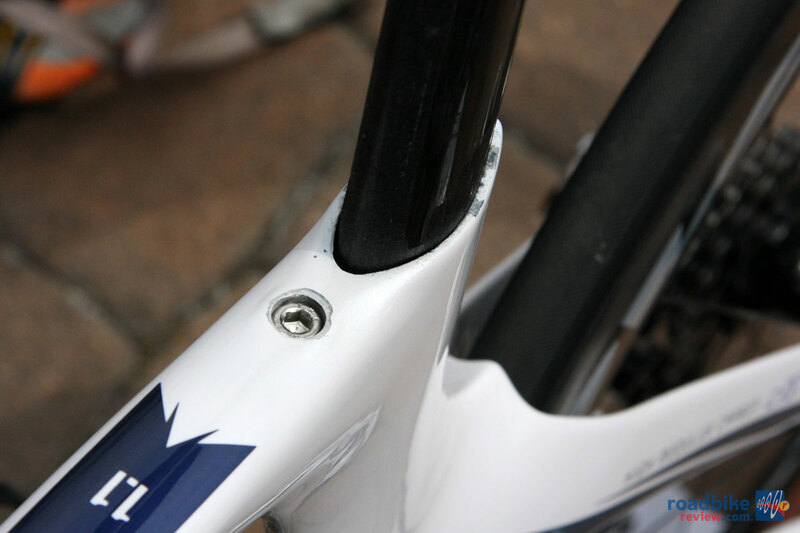 Cable routing is completely internal, and an integrated stem and seat clamp further reduce drag. With a claimed frame weight of 1400 grams, Fairchild admitted the new bike wouldn’t win the weight war. But the aforementioned large span of positioning options is something he claimed exceeded all other superbikes. 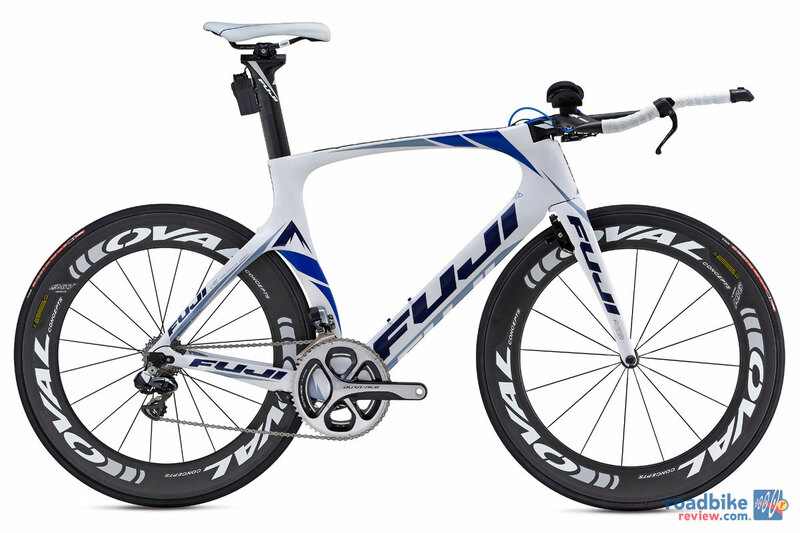 Check out our photo gallery to see and learn more about the new Fuji Norcom Straight time trial bike. Well long story short stay away from this bike, I returned it to the dealer after 4 weeks. Every time I wanted to take it on a serious ride something happened to it. 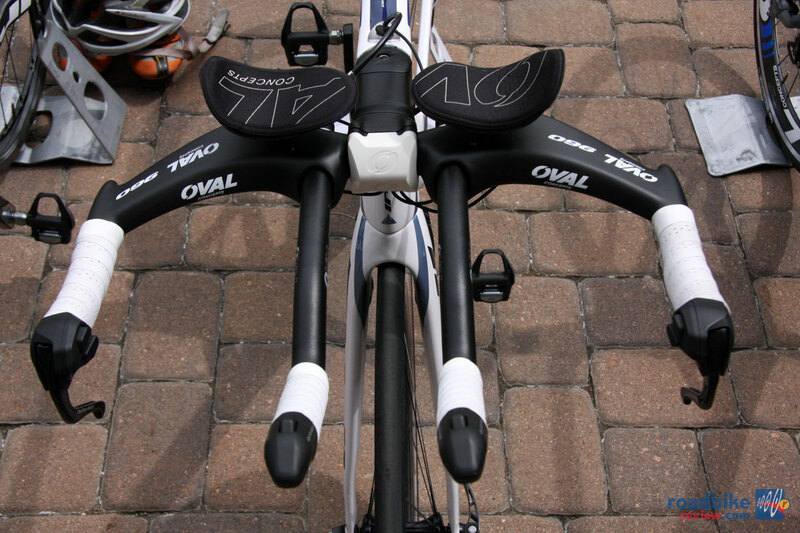 The aero bars would come loose and shift while riding, the seat would come loose. After we finally over tightened the seat and aero bars, way beyond Fuji Specs, the steer tube came loose, and this was the morning of my first competitive TT race on the bike. Well that really ruined my day and race. Worst thing happened on a casual ride. I was doing 24mph or so and hit a bump that my normal carbon road bike would handle with ease. The back end of this bike started to wobble so bad I could not control it. I almost lost it and had to stop. Once I got off the bike I had stop shaking myself. I checked over the bike very well to make sure it was safe but ultimately called my wife to pick me up. If I had been in the aero bars I would have lost control of the bike and gone down. I would have wound up in the hospital and there was enough traffic near me that I May have been hit by a car. So stay away from this bike maybe next year it will be better. Sounds like mt works for Fuji. Thanks for the follow up and the pictures. In regards to the fork; our spec does mention that the bike should come with a FC-330 fork and yours most certainly came with a FC-440 fork; specifications are subject to change and in this case for the 2015 model year we had a shortage of the 440 forks and used the 330 fork as the stiffness profile is very similar a very slight weight penalty (~27 grams). That being said; the quality of each fork is incredible similar, if not the same, both are full carbon forks made to fit into the Norcom Straight frame. Having personally ridden both forks; I noticed no difference between them. 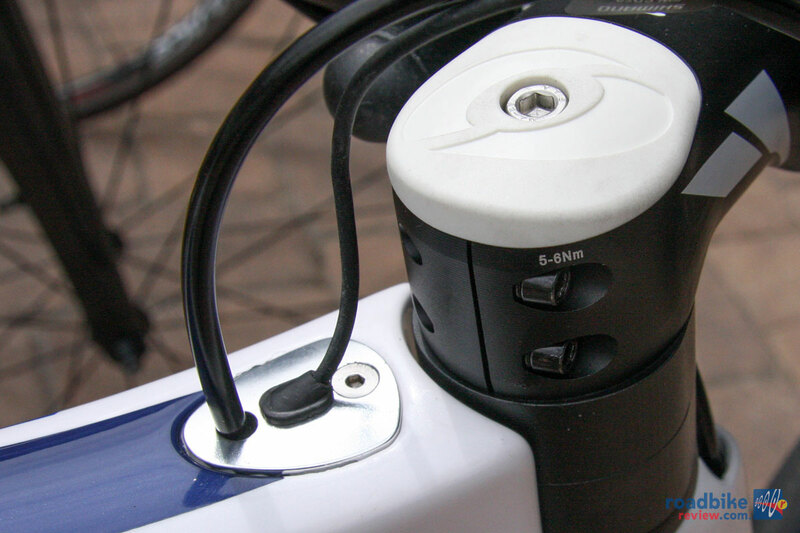 In regards to the seat post bolts; the mounting holes on the back side of the post are for an externally mounted Di2 battery not a bottle cage or any other item. In regards to the remainder of the build; bikes are shipped at about 80% assembled – this is done to hopefully ensure the safe delivery of the bike to a shop that will be able to complete the final 20%. 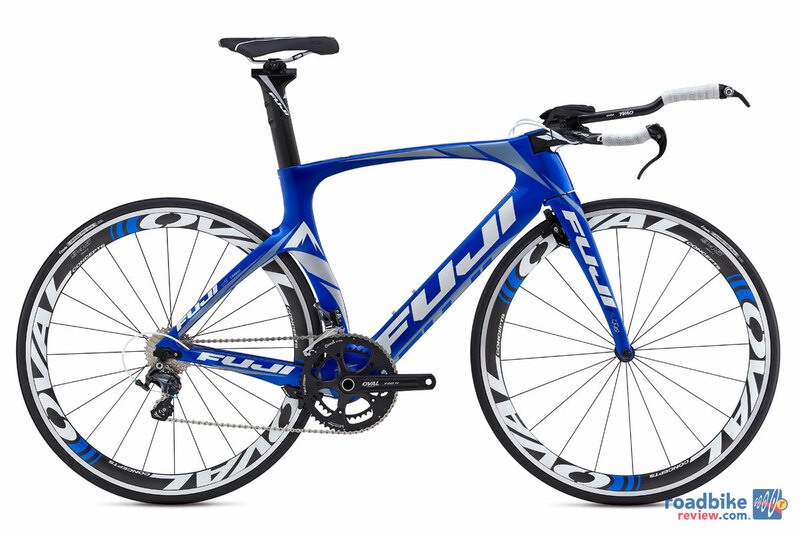 The final assembly and adjustment, as well as any other tweaks should be handled by your local Fuji dealer or professional bicycle shop and they are considered part of the job. The Norcom Straight is a formidable challenge even for seasoned professional mechanics; the tolerances are incredibly tight and even seemingly inconsequential changes to the cabling/ brake tension or anything else will cause greater changes to the overall actuation of the bike.